Mimi Ferraro is the Next Steps founder and educational consultant who has more than 35 years of experience working with students with special needs and their families. 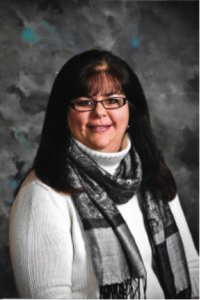 She holds a Doctorate in Special Education from Gratz College, a Master in Education from Gratz College and a B.M. in Music Therapy from Temple University College of Music. She is also a Professor of Special Needs at both Temple University and Gratz College and serve as an educational consultant throughout the city. She is a known advocate for special needs children, adults and their families. Through her network of resources within the special needs community, she will help you develop a customized transition plan which meets the distinct requirement of your young adult with special needs. Balancing the need for independence and the family’s peace-of-mind knowing that as an adult, the adolescent can look forward to a future that is personally rewarding and fulfilling, factor prominently into the planning process.